"We spent our first day in Halong Bay. It was about 4 hours bus ride from Hanoi. It was quite a long ride probably because I am not used to 60-80km/h speed limit. Though I am not sure if the bus was really running on that speed but it sure felt like it. In the Philippines, buses can run up to more than 100 km/h - yep, that is how reckless our drivers here are. Nevertheless, the long bus ride was pretty exciting. " Overlooking the World Heritage Site of Halong Bay, Royal Villas Halong offers panoramic views of unspoiled nature. Explore one of the world�s most popular tourist destinations by making your base here. Guestrooms are tastefully decorated with a touch of luxury and equipped with modern furniture to ensure maximum comfort. The restaurant serves international cuisine prepared by experienced chef. The main highlight of the hotel is Baccarat. Head to the Gaming Club should you fancy a game. Professional service and entertainment amidst nature, Royal Villas Halong makes a perfect choice. Novotel Ha Long Bay Hotel has an enviable beachfront location allowing easy access to many popular tourist sites in the area. Bai Chay Beach, Sung Sot Cave, and Emeraude are nearby and guests can enjoy jet skiing, kayaking, or wind surfing nearby. Rooms are available as standard, superior, or executive and furnished with satellite TV, a VCR, and a mini bar. On-site facilities at the hotel include terrace dining at Square Restaurant, a lobby lounge bar which hosts live music, and a pool bar. There is also an outdoor pool. 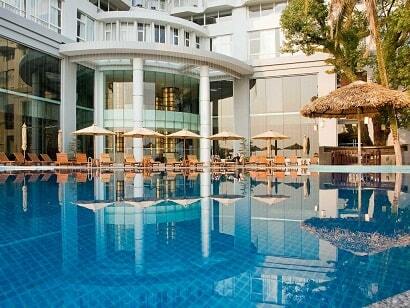 Guests at the Novotel Ha Long Bay Hotel will experience a relaxing, comfortable, and seamless hotel stay. 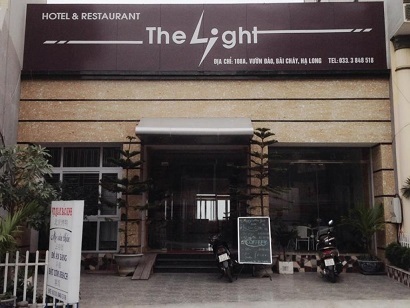 If what you're looking for is a conveniently located hotel in Halong, look no further than The Light Hotel Halong. The excitement of the city center is only a 2-minute walk down the street. 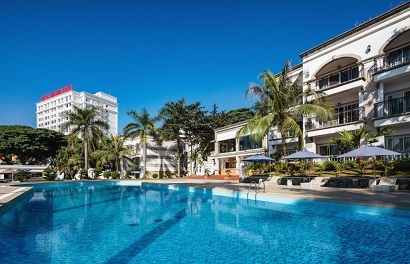 With its convenient location, the hotel offers easy access to the city's must-see destinations such as Bai Chay Beach, Bai Chay Pier, many seafood restaurants, and souvenir shops. Take advantage of a wealth of unrivaled services and amenities at this wonderful property. Facilities include laundry service, a smoking area, coffee shop, currency exchange, and valet parking. All guest accommodations feature thoughtful amenities to ensure an unparalleled sense of comfort. The hotel's host of recreational offerings ensures you have plenty to do during your stay. The Light Hotel Halong is a smart choice for travelers, offering a relaxed and hassle-free stay every time. Located in the lovely area of Tuan Chau Island, Imperial Classic Cruise Halong enjoys a commanding position in the beaches, sightseeing, romance hub of Halong. The hotel is not too far from the city center: just 1km away, and it normally takes about 240 minutes to reach the airport. A well-kempt environment and its proximity to Bai Chay Tourist Wharf, Bai Chay Beach, Bai Chay Bridge give to this hotel a special charm. The facilities and services provided by Imperial Classic Cruise Halong ensure a pleasant stay for guests. To name a few of the hotel's facilities, there are 24-hour room service, ticket service, 24-hour front desk, express check-in/check-out, luggage storage. 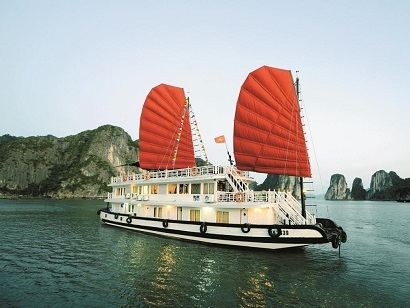 Imperial Classic Cruise Halong is home to 12 bedrooms. All are tastefully furnished and many even provide such comforts as closet, cleaning products, towels, clothes rack, slippers. The hotel offers fantastic facilities, including boats, fishing, massage, karaoke, to help you unwind after an action-packed day in the city. Imperial Classic Cruise Halong is a smart choice for travelers to Halong, offering a relaxed and hassle-free stay every time. Nestled in the heart of Tuan Chau Island, Rosa Cruise is an ideal spot from which to discover Halong. From here, guests can enjoy easy access to all that the lively city has to offer. With its convenient location, the hotel offers easy access to the city's must-see destinations. Rosa Cruise also offers many facilities to enrich your stay in Halong. 24-hour room service, free Wi-Fi in all rooms, 24-hour security, car power charging station, convenience store are just a few of the facilities that set Rosa Cruise apart from other hotels in the city. Step into one of 9 inviting rooms and escape the stresses of the day with a wide range of amenities such as additional bathroom, additional toilet, air purifier, clothes rack, complimentary instant coffee which can be found in some rooms. The complete list of recreational facilities is available at the hotel, including boats, spa, massage. 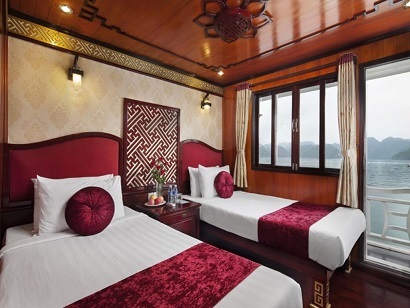 Rosa Cruise is an ideal place of stay for travelers seeking charm, comfort and convenience in Halong.